Join ROSEWOOD: a new collaborative network for the forestry sector! The Region of Tuscany, part of the ERIAFF network, together with 14 European partners, has initiated a new collaborative network for the forestry and wood sector: the ROSEWOOD network. The objective of this new network is to better connect actors of the wood value chain and existing initiatives at the European level. European regions are rich in forest resources, but often lack capacities to fully utilize them in a sustainable way. ROSEWOOD wants to unlock this potential by facilitating an inter-regional knowledge transfer on best practices and innovations in wood mobilisation. 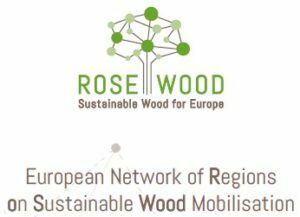 Funded by the European Union’s Horizon 2020 research and innovation programme, the ROSEWOOD network is open to all stakeholders interested to advance sustainable wood mobilisation in Europe. Euromontana’s members who are interested in joining the ROSEWOOD network, can opt for a membership under one or more of the four project Hubs. The membership is free-of-charge and on a voluntary basis. As a ROSEWOOD Hub member you will have the opportunity to participate in the project’s activities (workshops, round-tables, B2B-events, questionnaires, surveys, etc.) and receive exclusive information on trends and innovations in the forestry and wood sector. For more information about the network and its activities, see this brochure or visit the ROSEWOOD network website.